As a loving and responsible pet owner, you already know how important it is to ensure that your dog has access to clean, fresh water every day. Exactly how much your dog may drink can vary depending on a range of elements, including his size, the temperature and his personal preference. You can expect most average-sized breeds to consume 30-50ml per kg of their weight, every single day. This may mean refilling his water bowl several times during the day, or placing additional water sources around your home and yard. However you choose to supply water to your pooch, it is important to make sure that you monitor his fluid intake. While dehydration (not drinking enough water) can pose a serious health problem, so too can overhydrating. It can also be a symptom of a more sinister underlying medical condition. Why is my Dog suddenly drinking a lot more Water? Any sudden change in your pet’s usual behavior can be a worrying time, but by understanding the cause you can ensure that you get your beloved furbaby any necessary treatment quickly and often before there is lasting damage to her health. If you suddenly find yourself refilling your dog’s water bowl more than usual, first of all, monitor the excess thirst. Environmental changes such as warmer weather, increased humidity and even stress can cause your pooch’s behavior to change temporarily. If your canine friend is still drinking significantly more than usual after a few days, there may be a bigger underlying cause. An increase in the amount of water your dog is drinking actually has a medical name – polydipsia. It is also very common. Unfortunately, unless there is clear evidence why your furbaby may suddenly be drinking more – for example, he has diarrhea or excessive blood loss - the diagnostic process can be extensive. 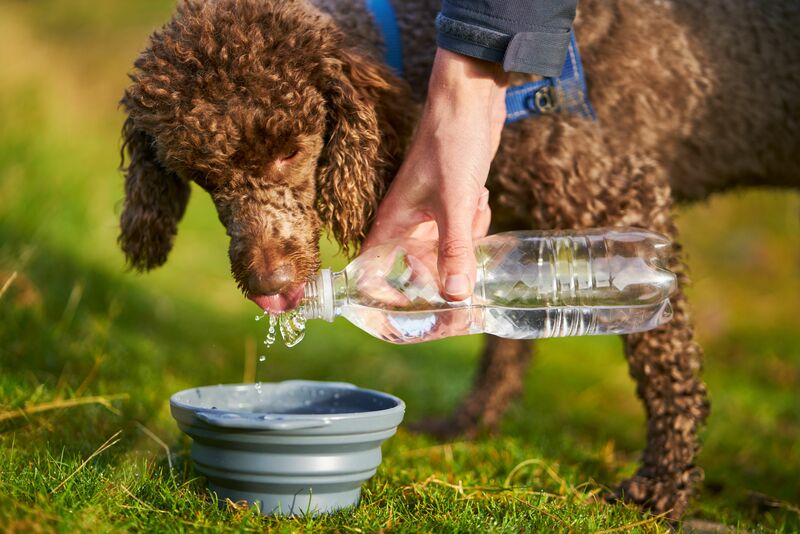 If your pet pooch seems particularly thirsty, and the problem has been going on more than just a couple of days, veterinary advice is strongly recommended. By identifying the cause of the problem early, you can arrange to get your pet started on the best course of treatment which will help to protect him from painful and often debilitating symptoms. Contact us and make an appointment with our Veterinarian.